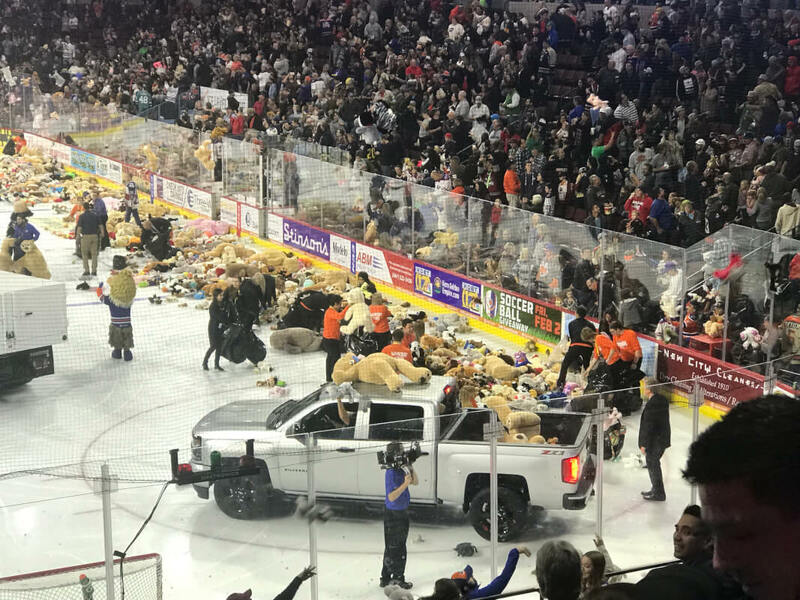 On November 27th, 2017 Three Way sponsored the 19th annual Teddy Bear Toss at the Bakersfield Condors game in Rabobank Arena. 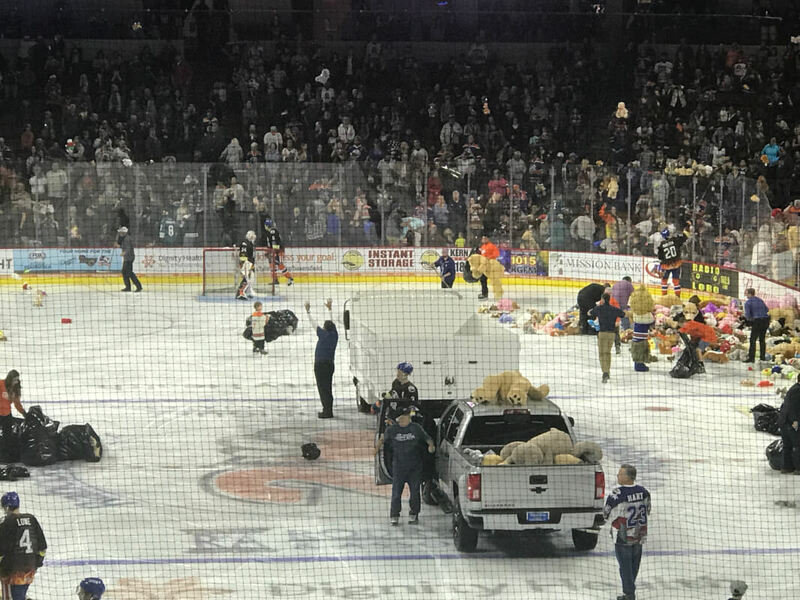 With over 8,800 people in attendance, they crushed their record of Teddy Bears tossed. There were 10,549 to be exact! 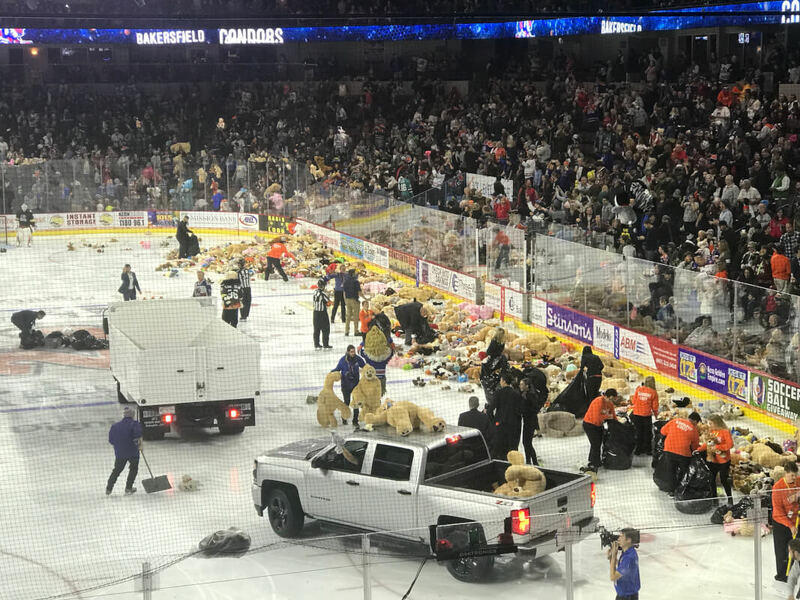 The Teddy Bear toss is really best witnessed in person, but the idea is for each attendee to bring a new Teddy Bear for donation. When the team scores their first goal, everyone tosses the Teddy Bears (or other stuffed animals) onto the ice. The stuffed animals are collected and sent to dozens of charity organizations to be used as holiday gifts and throughout the year. 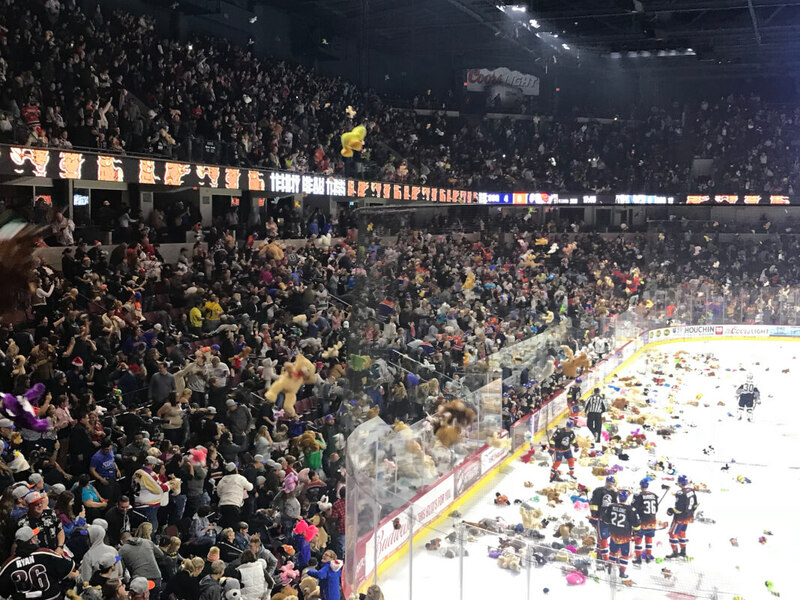 The Teddy Bear Toss is organized by United Way of Kern County.